IN THIS PLACE We Always! 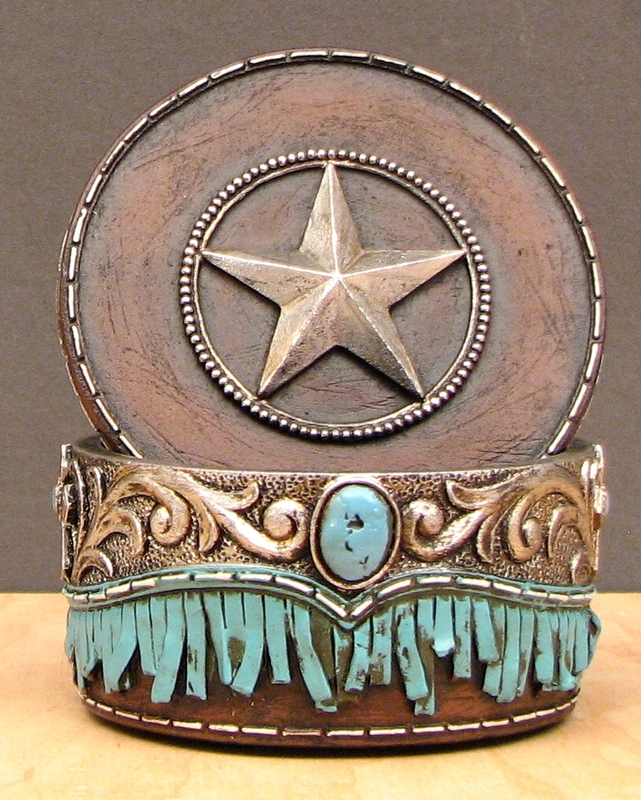 This We'll Defend "ARMED FORCES"
Measures: Trinket Box with Star on Lid. Great gift for the western enthusiast. The perfect place to store momentos or items used daily. Measures: 4" x 4" x 2.5"